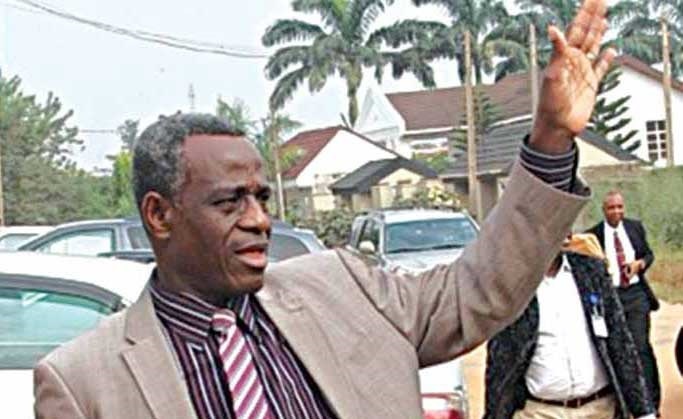 Former Vice Chancellor of the Obafemi Awolowo University, OAU Ile-Ife, Prof. Anthony Elujoba finally granted bail as his trial on the charges of misappropriation of funds continues. Security was on Friday tightened around the Osun State High Court in Osogbo as the court ruled on the bail application made by ex-VC of the Obafemi Awolowo University, OAU Ile-Ife, Prof. Anthony Elujoba. He is standing trial on the charges of misappropriation of funds, brought against him by the Economic and Financial Crimes Commission, EFCC. In his ruling, the judge granted him bail based on self recognition and was ordered not to travel out of the country as long as the trial lasts. Justice Oladimeji also granted the bursar of the institution Mrs Josephine Akeredolu bail in the sum of fifty million naira with two sureties in the like sum. The two sureties are to be members of the academic or non-academic staff of the university community with highest level grade. The case which was initially being heard before the Ede division of the court had to be moved to Osogbo for security reasons. This is following disruption of law and order by staff and students of the institution at the Ede division of the court where it was formerly being heard. Justice Oladimeji before giving his ruling, condemned the manner in which the staff and students of the institution conducted themselves at the last sitting, when the defendants were ordered to be remanded in Ilesha. He described their behaviour as shameful, unruly, uncivilized, and unexpected of members of academic community, such as OAU. The ruling of the court threw the eagerly waiting staff and students to chants and shouts of joy and jubilation. While the EFCC counsel, Festus Ojo evaded journalists for interview, after the sitting, counsel to the defendants Ibrahim Lawal was happy to speak with newsmen. The court is adjourned till October 27.